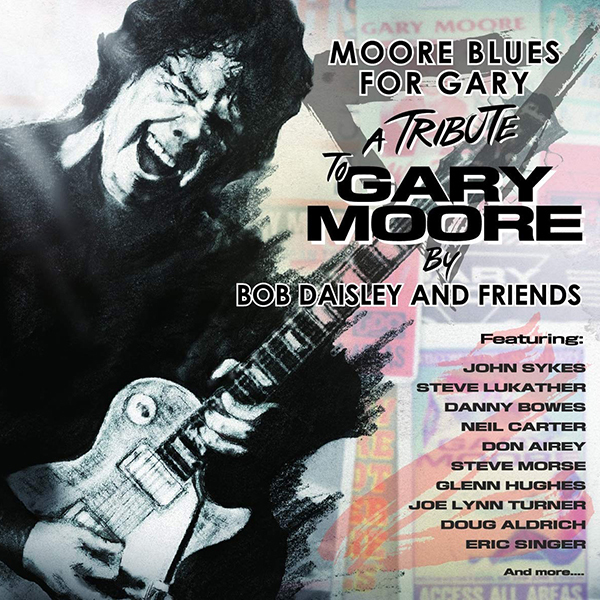 Moore Blues For Gary is out now. I’d like to express how pleased I am with the way that my tribute to Gary Moore album, ‘Moore Blues For Gary’, has been received. The reviews have been fantastic and the comments on social media have been heart-warming and supportive. It’s even been said that the love and respect for Gary can be felt in the music, and that’s such a nice feeling for me. Everyone involved with the album has been great so I'm more than pleased that it turned out so well, not just for myself, but for the memory of Gary. It’s great to see his name associated with love and respect. Long live the memory of Robert Gary Moore. We have a very strictly limited supply of albums signed by Bob available to order here. Alternatively, you can order a non-signed copy of the album from Amazon ( UK | US | CA ). Order your signed album today. Chicken Shack - Live In Germany 1975 is out now. You can order a copy here or from Amazon ( UK | US ). I very much appreciate John Sykes accepting my Hall of Heavy Metal History award for my induction, thank you John. It was also great for me to see/hear him on my tribute to Gary Moore album ‘Moore Blues For Gary’, well done JS, and thank you again. I first saw Ronnie Lane using this Zemaitis bass with The Faces in around 1971. I loved that band, you couldn't get any more 'typically English' than ol' Rod the Mod and the lads. Kenney Jones (drums), Ian McLagan (keyboards) and Ronnie Lane (bass) came from the Small Faces when Steve Marriott left to form Humble Pie. Rod Stewart and Ron Wood had worked together with the Jeff Beck Group (Wood on bass) on two classic albums 'Truth' and Beck-ola' in the late '60s; Woody also played bass on Rod's first solo album 'An Old Raincoat Won't Ever Let You Down'. I was more influenced by Woody's bass playing with Jeff and Rod than I was by Ronnie Lane's, but the whole Faces thing fascinated me and I became an ardent fan. In 2003, Ronnie Lane's Zemaitis bass came up for sale in the 'Zemaitis Owners' magazine 'The Z Gazette', and after a little bit of "Come on big nose, let's haggle', the RL Z bass was mine. It always fascinates me to see film clips of Ronnie Lane using it, and even more so when I play it myself. There's only one of these in the world, and the vibes held within are unique, I love this bass. By the way, the 'coffin-shaped' case that came with it was handmade by Tony Zemaitis, although I keep the bass in a hard-shell case that's more protective. I'd like to thank everyone for their kind words, comments and support. This lawsuit business is not a nice place to be but justice needs to be served and the truth needs to be known. Below is the official press release issued by my New York lawyer. Minden, Nevada – August 9, 2016: Robert “Bob” Daisley, one of the writers of the hit song “Crazy Train” and a former band mate of Ozzy Osbourne, filed suit yesterday against Osbourne and Blizzard Music Limited, seeking more than $2 million in unpaid royalties. The complaint was filed in the Ninth Judicial District Court of the State of Nevada in Douglas County. Daisley is represented by Crowell & Moring LLP and Snell & Wilmer LLP. Daisley was one of the co-authors for songs on the famous hard rock albums Blizzard of Ozz and Diary of a Madman. Blizzard of Ozz reached multi-platinum status in the 1990s and featured well-known tracks, including “Crazy Train,” which is regularly heard today in sports arenas and featured in many television shows, commercials, and video games. For the past 35 years, the copyrights to the songs co-authored by Daisley have been administered by Osbourne and his affiliated companies in England and the United States, Blizzard Music Limited. The Complaint alleges that, although royalties have been paid to Daisley over the years, an audit conducted in 2014 showed that Osbourne and his company had been improperly deducting undisclosed fees before distributing royalties to Daisley and improperly withholding Daisley’s rightful share of royalties owed under the publishing agreements for the commercial exploitations of the songs. The Complaint in part requests an award of monetary damages for harm alleged to have been caused by Osbourne and Blizzard Music Limited’s fraudulent conduct, as well as punitive damages. The complaint also requests an accounting of the books and records of Blizzard US and Osbourne. This is indeed a sad day, the wonderful Jack Bruce has passed on. He was a 'creme-de-la-creme' bass player, singer and songwriter, and a major influence on me personally. He recently agreed to sing on a track or two of my forthcoming 'Tribute to Gary Moore' album but, all too sadly, he's joined Gary and the many others. His recorded music will live on forever, as will his legend and the legacy that he leaves behind. Long live the memory of Jack Bruce, for me he'll never die. A very limited number of CDs from Mother's Army and Living Loud are now available and all are signed by Bob. The Mother's Army triple pack costs £12 GBP excluding delivery, and Living Loud costs £10 GBP. All albums will be sold on a first come, first served basis. Today, the 19th of March 2014, is the 32nd anniversary of the tragic loss of Randy Rhoads. 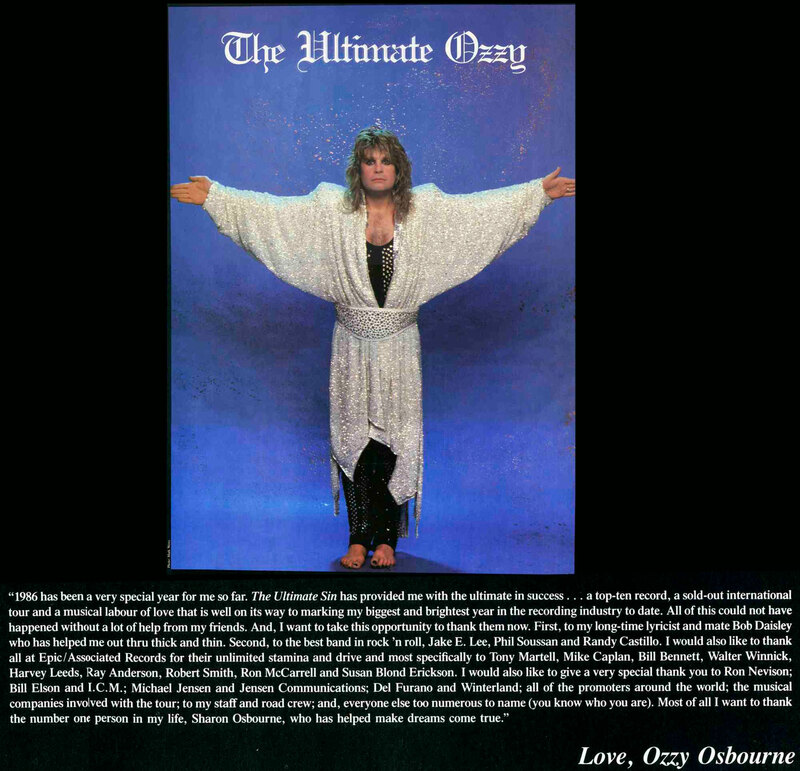 To pay special tribute to Randy's life and the working relationship that he had with Bob Daisley, Bob has not only agreed to answer some recent questions regarding the seven hours of audio tapes that he recorded during the writing, rehearsing and recording sessions of the 'Blizzard of Ozz' and 'Diary of a Madman' albums, he has also agreed to share some snippets of those recordings with the fans. Bob is announced as a Patron of 'Rock The House'. Patrons of Rock The House 2012: Blink 182's Mark Hoppus, Bullet For My Valentine's Matt Tuck, Deep Purple's Ian Gillan, Alice Cooper, Julian Lennon, Charlie Simpson, Anthrax's Rob Caggiano, Rick Wakeman, Whitesnake's Bernie Marsden, Robin Gibb, Thin Lizzy's Brian Robertson, Your Demise, Don Broco, Gallows, Steel Panther, Bob Daisley and Trevor Horn.